If you’re starting, buying, or growing a business, it’s essential that you have a business attorney to protect you contractually. As Bucks County, Pa. business attorneys, we will make sure that your best interests, both proactively and in a lawsuit too. Solving a problem is much harder without written agreements to confirm your arrangements with others. And it leaves the door open to he said/she said on critical issues. Pa. business attorneys are experienced with drafting Pa. related business contracts, and prosecuting or defending them too. We know the myriad possible unseen scenarios that can arise because they’ve fought through them before. Business attorneys can make sure that your contracts are drafted in a manner that makes all your terms clear, and you have the protection you need (proactively and defensively). What do you need most? Almost always, contracts with customers and vendors, usually with key employees, and for internal company operation. You want to cap or exclude your liability, minimize warranty obligations, assure compliance by the other party, recover attorney fees in winning disputes, provide favorable termination text, and minimize statutory claims like those covering unfair trade practices and payments to or from contractors to subcontractors. It goes without saying, to buy or sell a business, or its assets, you need not just strong contracts but proper negotiating protocol and due diligence evaluations. Confidentiality and protection from competition are key points in all personnel dealings. Employee handbooks, employee authorizations and acknowledgements, are also almost universally handled early on. That way things are often nipped in the bud. Same with required right of rescission notices and other consumer disclosures. Contrary to popular belief, not just any written agreement serves as a sufficient legally binding document. Doors are often to client detriment left open such as: not excluding unwritten or unsigned changes; not limiting an arrangement solely to events covered by your contract; avoiding technically unfavorable contract clauses; and limiting jurisdiction and venue provisions to those favorable to you. No one wants and leaving ambiguities. By having a business attorney draft your contracts, he can anticipate potential problems before they are at hand. Whether you are just starting a business, or already have one, you need legal representation suitable to your situation. Make sure your lawyer is prepared to successfully litigate issues covered by contracts he drafted for you. We hope this has been helpful. 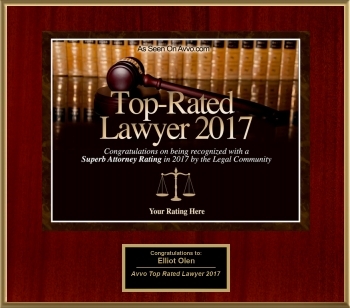 Your feedback is always welcome at the business oriented Olen Law Office in Bucks County, Pa. Please contact our office, now, to schedule a consultation or engage us to provide other business law services to you. We can grow with you, as dozens of Bucks County and other Pa. businesses have done with our help. At the Olen Law Office, we can guide you through each step, and answer your questions related to, this process. That way you will understand the legal process for start-ups and what to do going forward. Or, if you have had enough, we can help you with a sale of your business or its assets and/or its’ winding down. And if things do not work out, we can provide options to end the dispute. If necessary, through a lawsuit.